2013 RWA RITA Award Finalist author Sharon Lynn Fisher of Ghost Planet has done it again—new book, new idea, new science, same great romantic tension between unlikely characters with a lot to lose and a lot to prove. In a very short space of prose and dialog with very few specifics, I was able to mentally view this future version of Earth in Technicolor detail—excellent world building. Like Fisher’s last book, I had trouble putting it down. Fisher says that she was inspired by Mary Shelley’s Frankenstein. I was weary to start The Ophelia Prophecy because I didn’t like Frankenstein. In many ways it was a very incomplete story for me, despite its status as a classic. Unlike Shelley’s book, while The Ophelia Prophecy is lacking in a few places, it has a tidy ending with a bow on it. 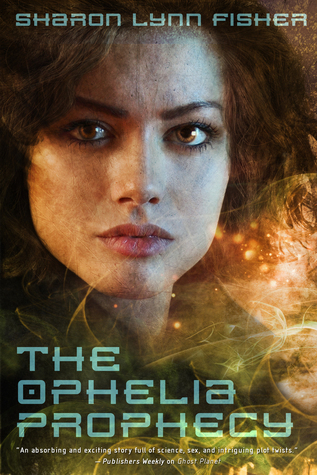 My inner geek, and my age, is going to show here… when I started The Ophelia Prophecy, I thought immediately of the old Syfy channel series Farscape. I loved that show and felt it was one of the more original pieces of science fiction I’d seen in a long time when came on the air in 1999. 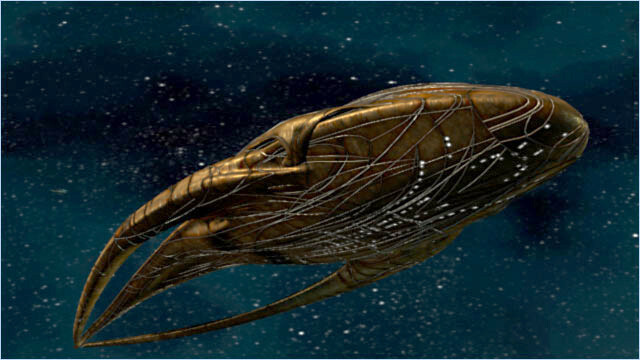 Ben Browder’s blue eyes and great shoulders were admittedly an attraction as well, but I digress… Like Farscape, one of the first four characters we meet in The Ophelia Prophecy is Banshee, a living ship, reminiscent of a scarab beetle, with adaptive artificial intelligence. Banshee learns and becomes key in several pivotal plot points, sometimes exhibiting what might be seen as a dry sense of humor. Asha is one of the few pure humans left on earth. She works daily to preserve human history as an archivist. I liked her. She’s smart and isn’t quick to fall into cliché’d heroine stereotypes. Asha’s enemy are the Manti, a hybrid species of humans, the result of genetic manipulation in previous generations. Bigger and stronger as a result of their mostly insect DNA, soon they are the dominate species on Earth. Pax is Manti. When Asha becomes Pax’s prisoner, the meeting begins a chain of events that will change life as both species knows it. The fourth main character is Pax’s sister. While she’s not the focus, the story wouldn’t be the same without her. She is significant to the story. Told in alternating points of view between Pax and Asha, the action is griping. The only thing held back is the romance between Pax and Asha. It is a slow, building burn which kept me glued to the book chapter after chapter for a nearly single-sitting read. My single criticism is that I wanted more. I wanted more back story, more time with the main characters, and more ending. It just wrapped too quickly for characters I grew to like very much. I wanted it to be denser. I enjoyed the writing enough that I would have even been happy with a cliff hanger *gasp* and the promise of a second book. Still, don’t miss this one. If you enjoyed Ghost Planet, you will enjoy this one too. My Rating: A, Loved it. Our world is no longer our own. We engineered a race of superior fighters — the Manti, mutant humans with insect-like abilities. Twenty-five years ago they all but destroyed us. In Sanctuary, some of us survive. Eking out our existence. Clinging to the past. Great review! I must add this to my TBR! I was (am?) a huge fan of Farscape – what an amazing show… Back when Syfy was still The Sci-Fi Channel. And no… we are NOT old! This sounds really good, and I was intrigued by the snippet. I’m adding this to my TBR! Farscape was awesome. Thanks for the great review Nima!